Unfortunately, the electronic version of this month’s issue of SpecGram was lost when our data center was flooded. Our tape backup system also failed, and M.A.Y.N.A.R.D. refused to help retrieve the lost data. 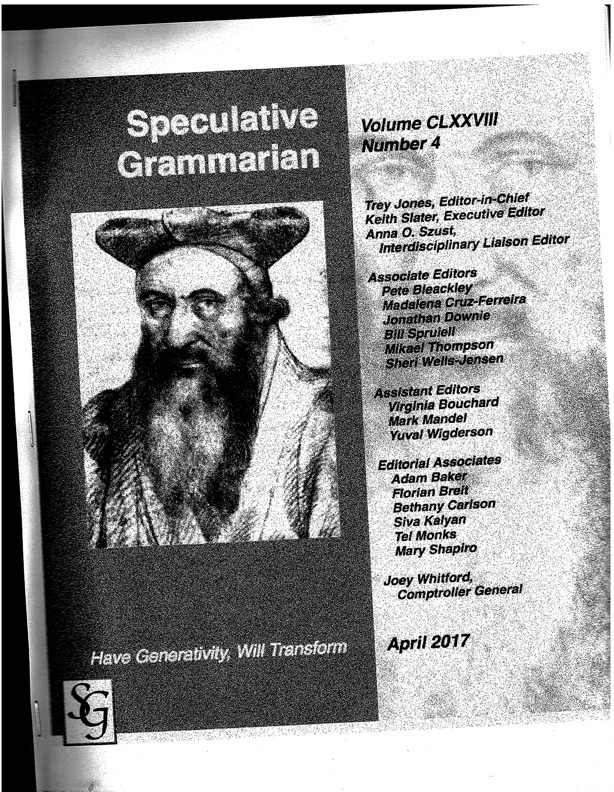 In order to bring you Vol CLXXVIII, No 4 of Speculative Grammarian, the interns have hastily scanned a print copy of the journal, provided below. P.S. : You can also navigate with the arrow keys, number keys, return key, or by clicking. If the inconvenience is just too great, scroll all the way down or try to escape.